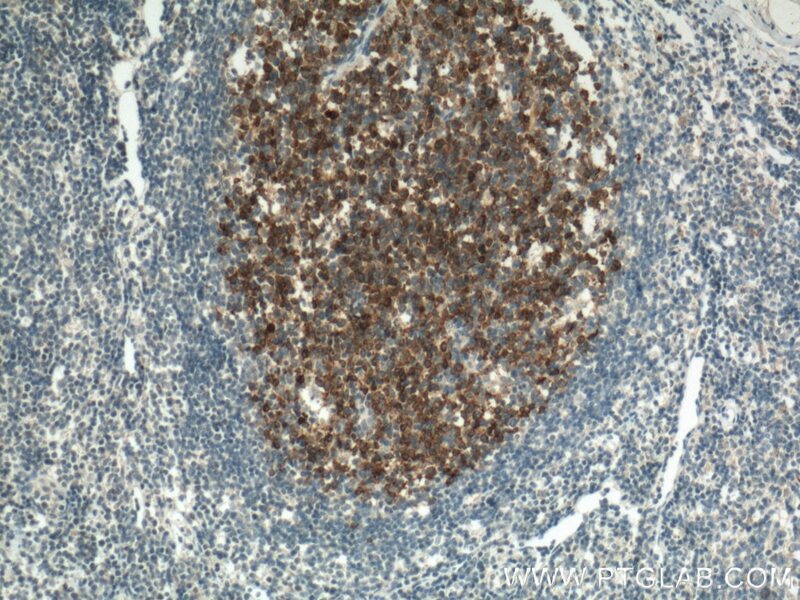 Immunohistochemical analysis of paraffin-embedded human tonsillitis tissue slide using 66350-1-Ig (TLR4 antibody) at dilution of 1:200 (under 10x lens) heat mediated antigen retrieved with Tris-EDTA buffer(pH9). 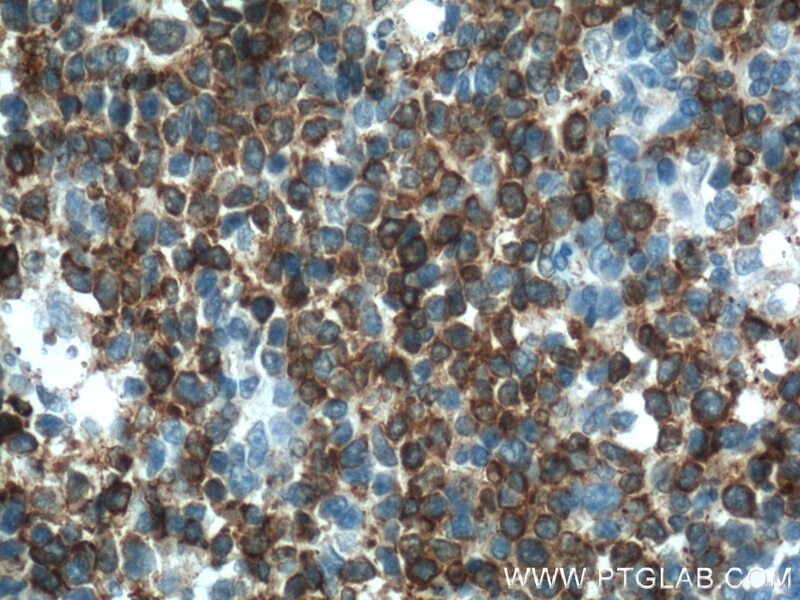 Immunohistochemical analysis of paraffin-embedded human tonsillitis tissue slide using 66350-1-Ig (TLR4 antibody) at dilution of 1:200 (under 40x lens) heat mediated antigen retrieved with Tris-EDTA buffer(pH9). TLR4, also named as CD284, belongs to the Toll-like receptor family. TLR4 interacts with LY96 and CD14 to mediate the innate immune response to bacterial lipopolysaccharide (LPS). TLR4 acts via MYD88, TIRAP and TRAF6, leading to NF-kB activation, cytokine secretion and the inflammatory response. Three alternatively spliced transcript variants that encode different protein isoforms have been described. Protective effects of morin on lipopolysaccharide/d-galactosamine-induced acute liver injury by inhibiting TLR4/NF-κB and activating Nrf2/HO-1 signaling pathways. Electroacupuncture Alleviates Postoperative Cognitive Dysfunction in Aged Rats by Inhibiting Hippocampal Neuroinflammation Activated via Microglia/TLRs Pathway.